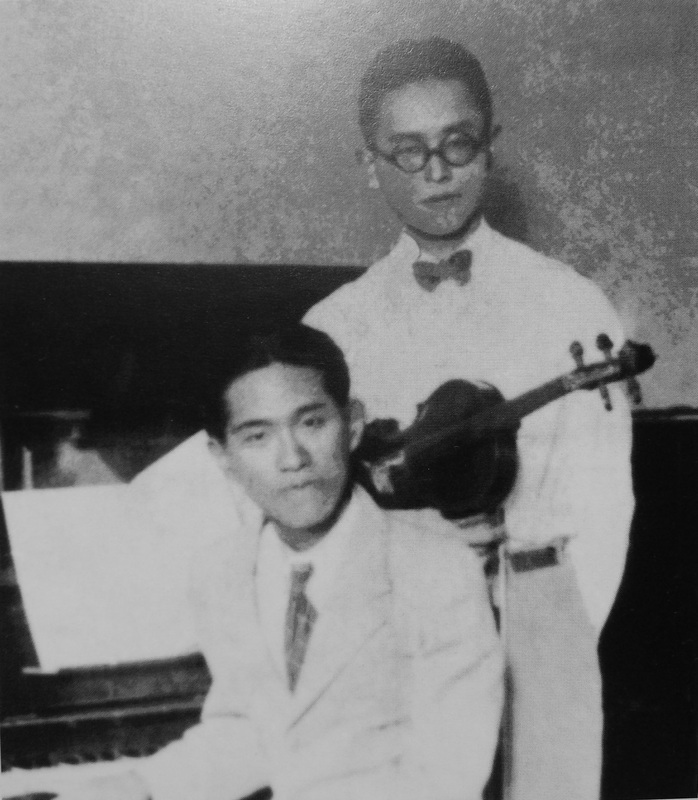 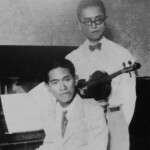 Wu Xiaobang 吴晓邦 (on the right) and his Japanese violin teacher, Tokyo, 1929 (Yu/Feng 2006: 3). 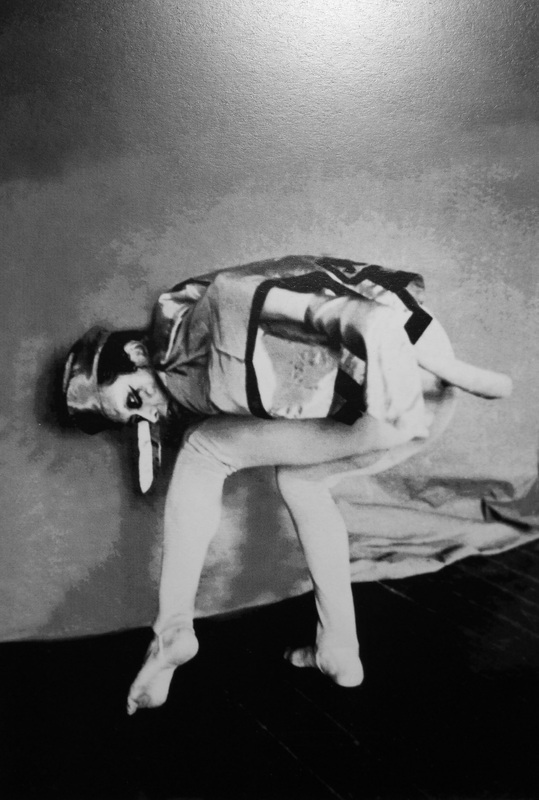 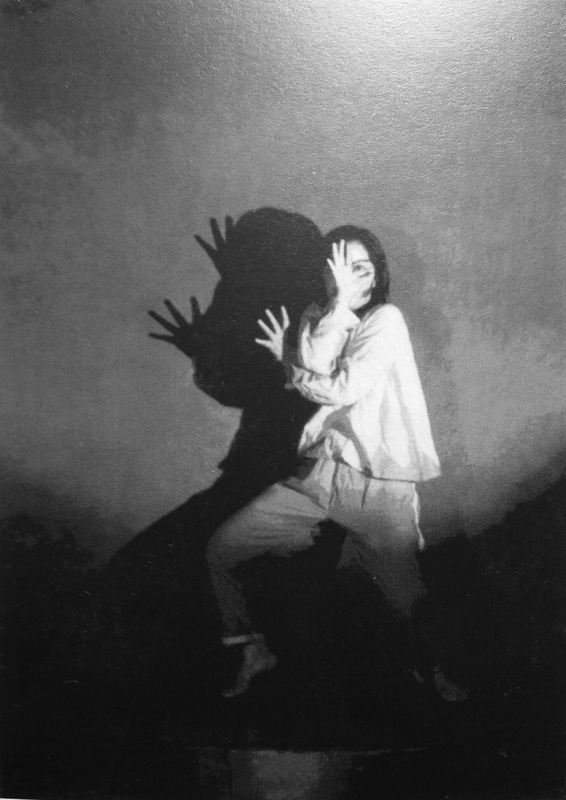 Wu Xiaobang 吴晓邦 performaning Kuilei (The puppet), 1935 (Yu/Feng 2006: 5). 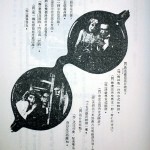 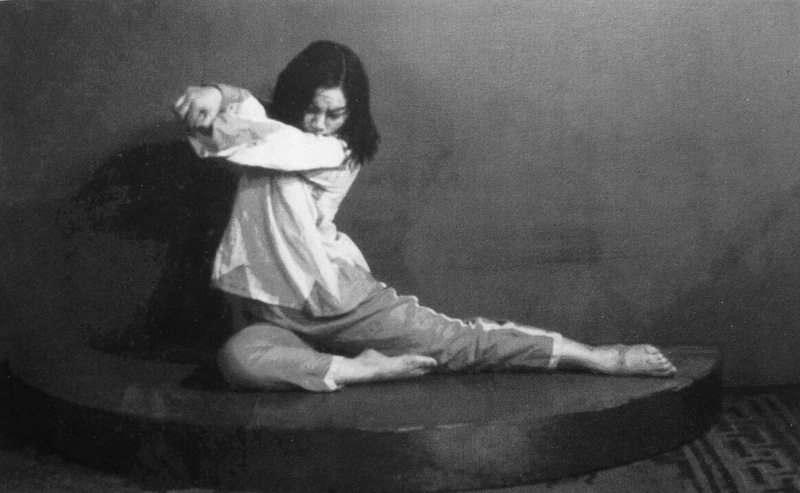 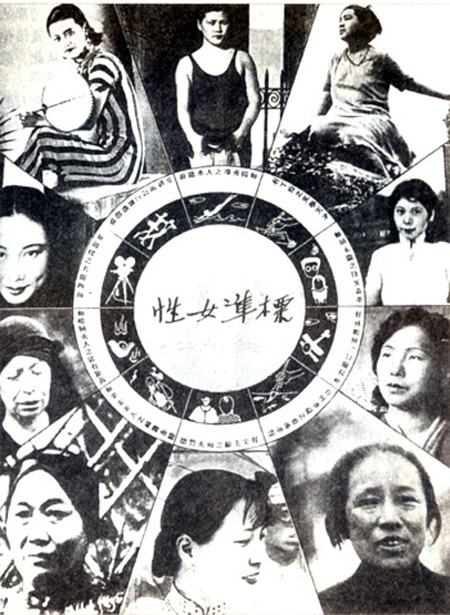 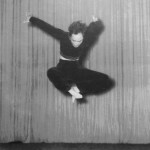 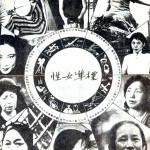 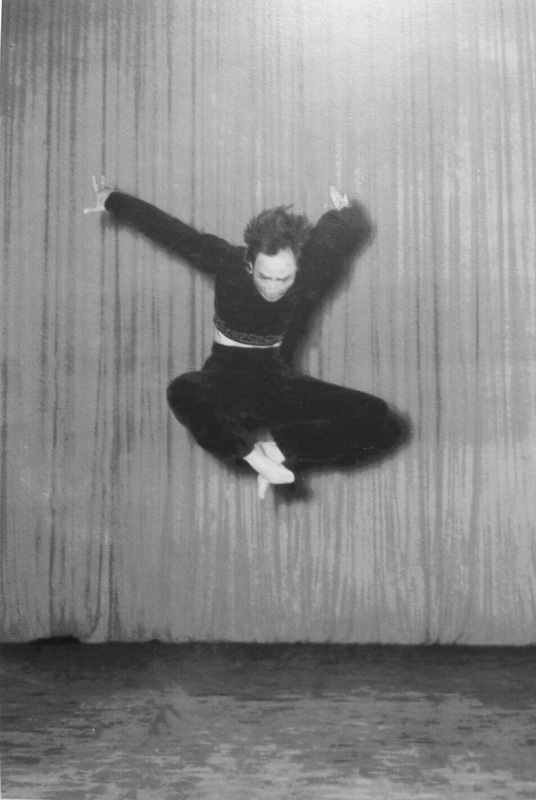 Lü Ji performing Qi meng (A strange dream), Shanghai, 1939 (Yu/Feng 2006: 9). 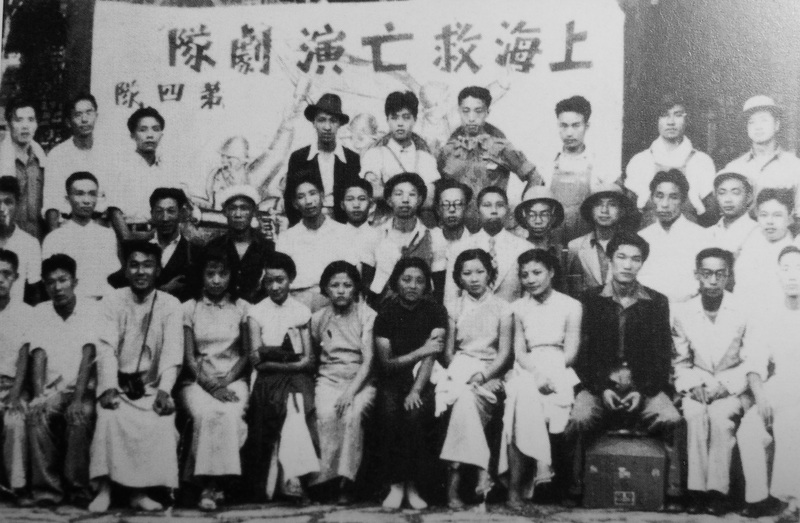 The “Fourth Branch” of the Anti-Japanese National Salvation Performing and Theatric Troupes, 1937. 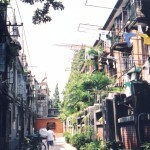 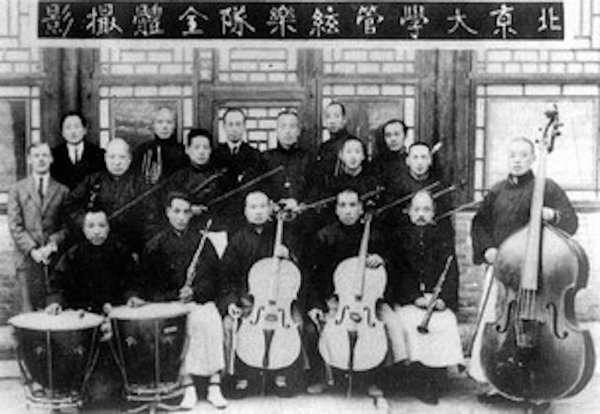 Wu Xiaobang is the second one from the left of the last line (Yu/Feng 2006: 6). 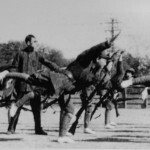 Wu Xiaobang 吴晓邦 performing Yiyongjun jinxingqu (March of the volunteers), Headquarters of the New Fourth Army, Nanchang, 1937 (Yu/Feng 2006: 7). 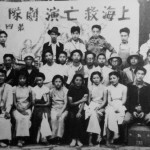 Wu Xiaobang 吴晓邦 directing the rehearsal of the Jinjun wu (Dance of the strategic offense), Dongbei minzhu lianhe zhengshibu xuanchuandui (The propaganda group of the Northeast united democratic political division), 1948 (Yu/Feng 2006: 24). 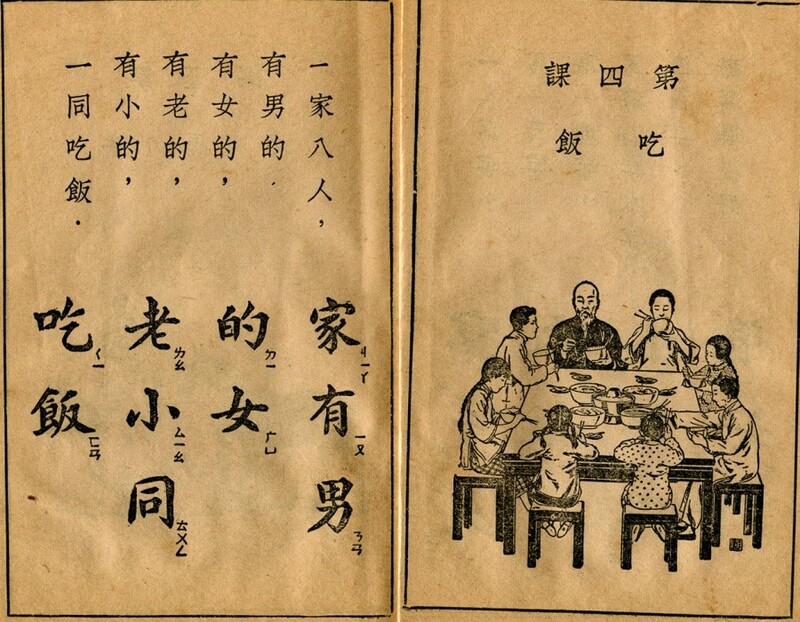 Lesson 4, “Eating,” from the Ding County Thousand Characters for Common People (平民千字课) primer. 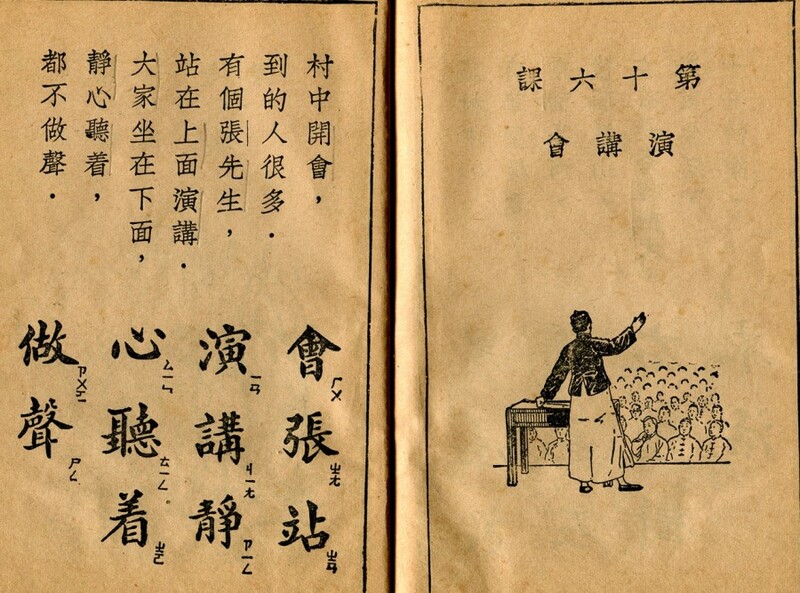 Lesson 23, “Writing Home,” from the Ding County Thousand Characters for Common People (平民千字课) primer. 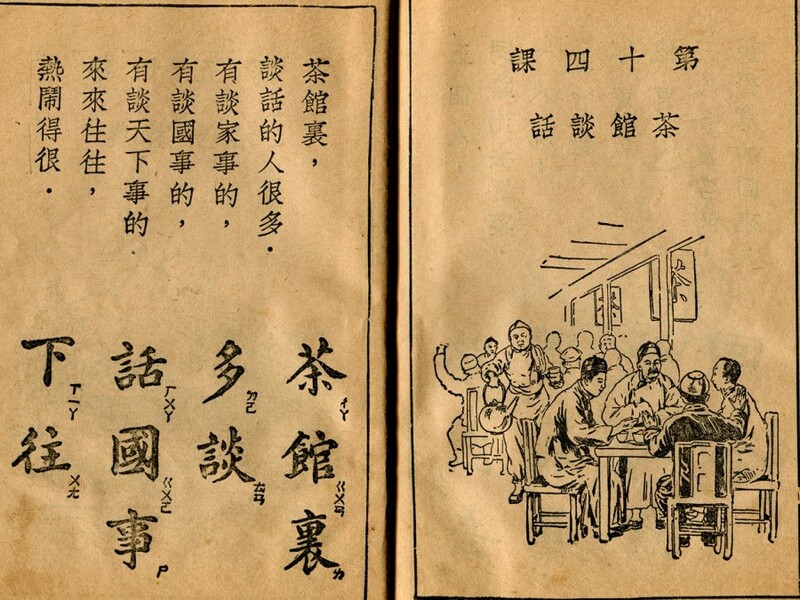 Lesson 14, “Talking in the Teahouse,” from the Ding County Thousand Characters for Common People (平民千字课) primer. 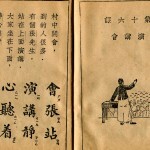 Lesson 16, “Lecture,” from the Ding County Thousand Characters for Common People (平民千字课) primer. 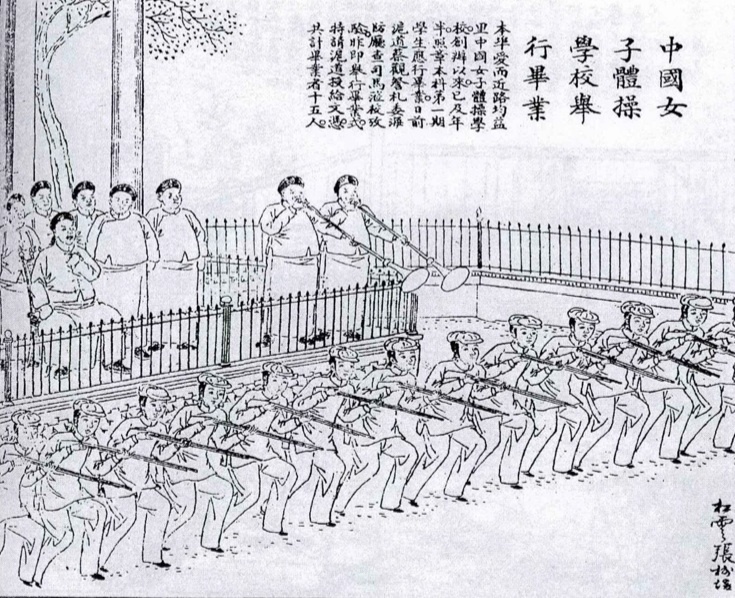 Lesson 18, “Industriousness,” from the Ding County Thousand Characters for Common People (平民千字课) primer. 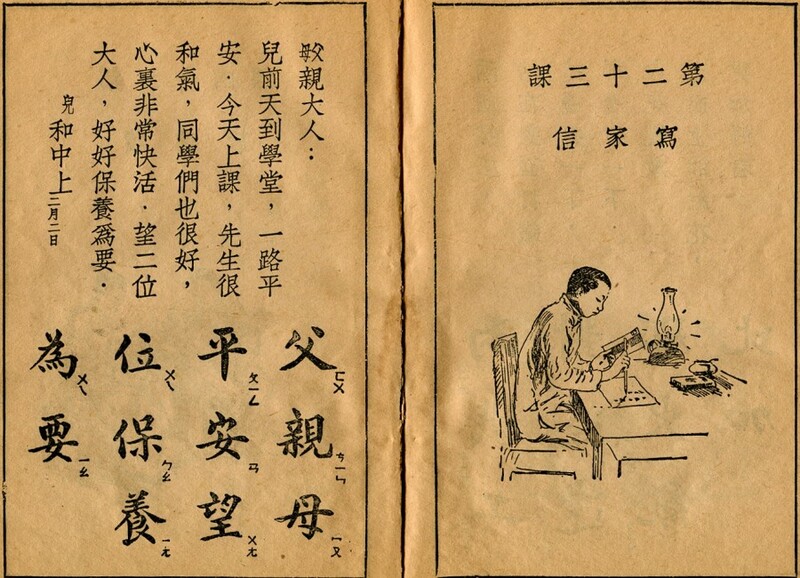 Lesson 23, “Writing a Letter Home,” from the Ding County Thousand Characters for Common People (平民千字课) primer. 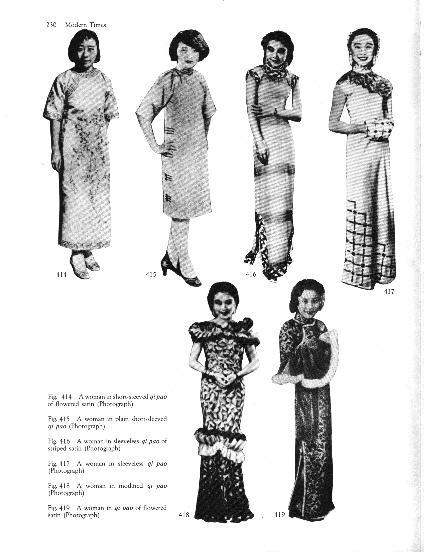 Models of Changing Feminine Beauty. 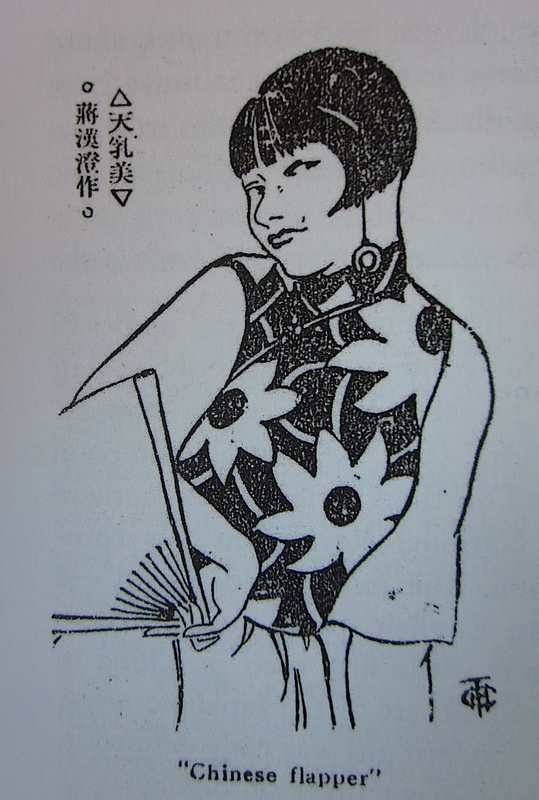 Cartoon by Lan Weibang, “Nüxing mei bianqian moxing” (Liangyou 1931, no. 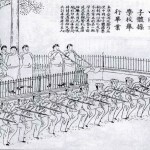 62: 44). 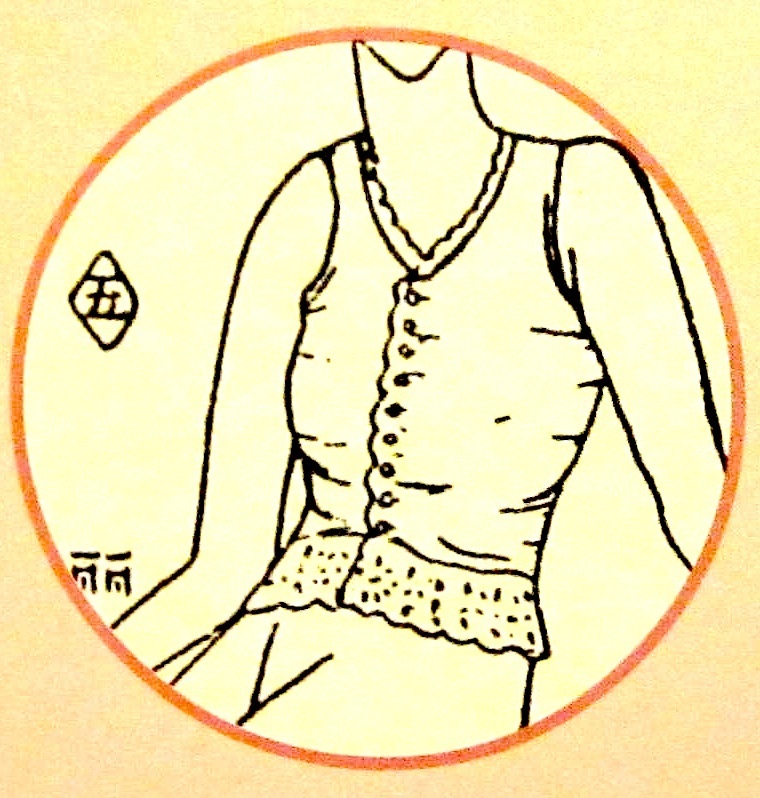 Little Vest. 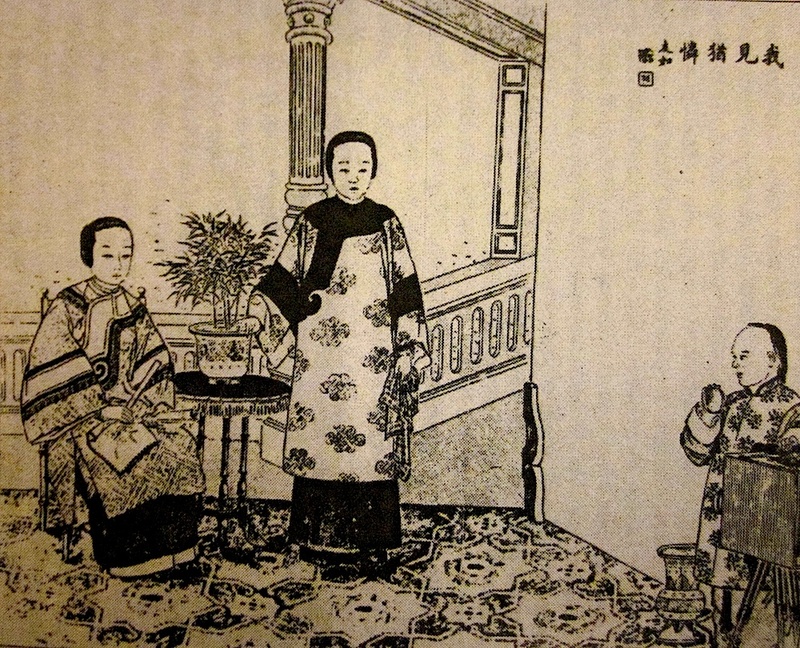 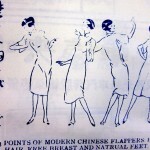 Drawing by Li to accompany Guanxianggezhu’s third article on the history of little shirts (BYHB 1927, no. 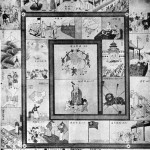 99: 4). 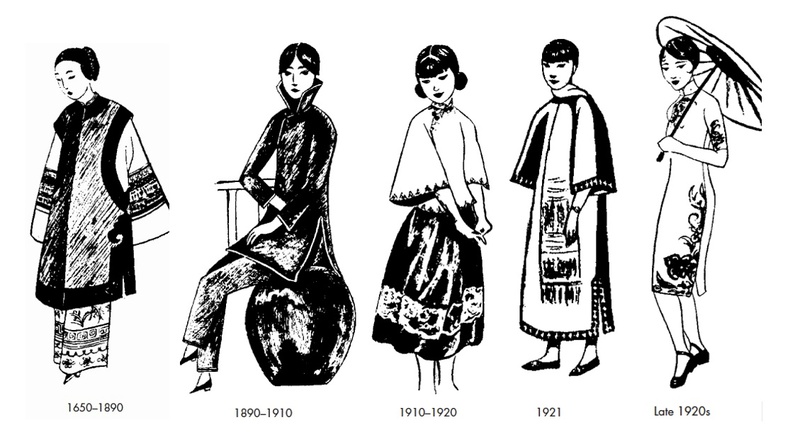 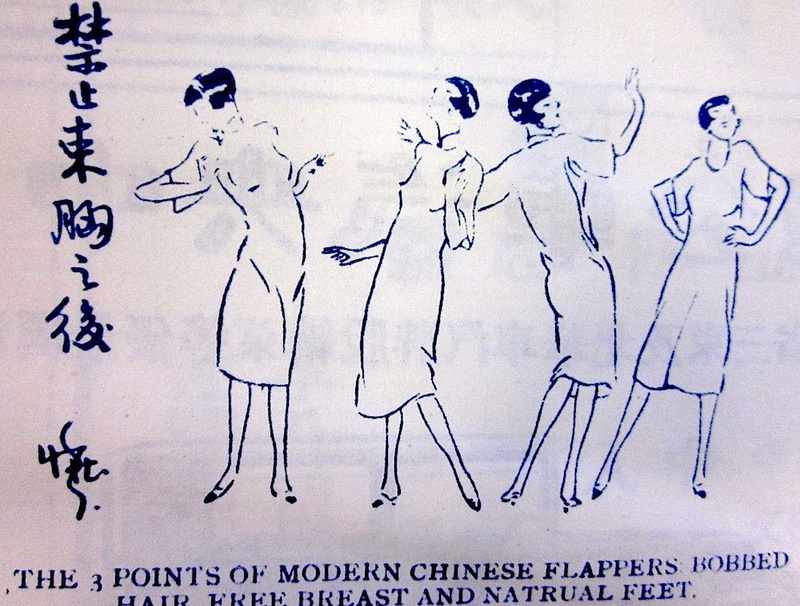 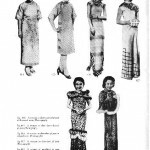 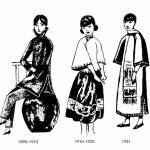 Zhang Ailing’s drawings of the history of fashion in China (Zhang 2003: 430). 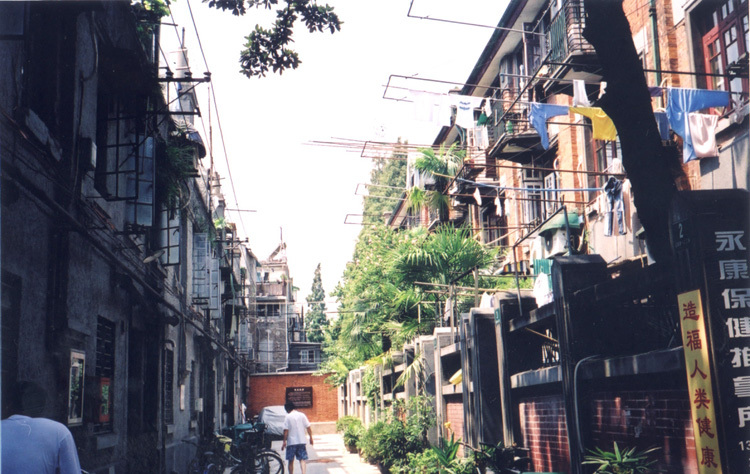 Pitiable loveliness. 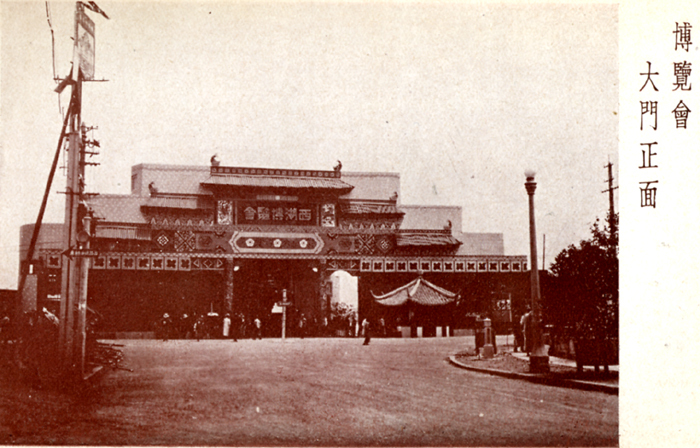 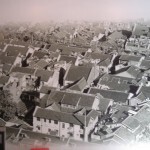 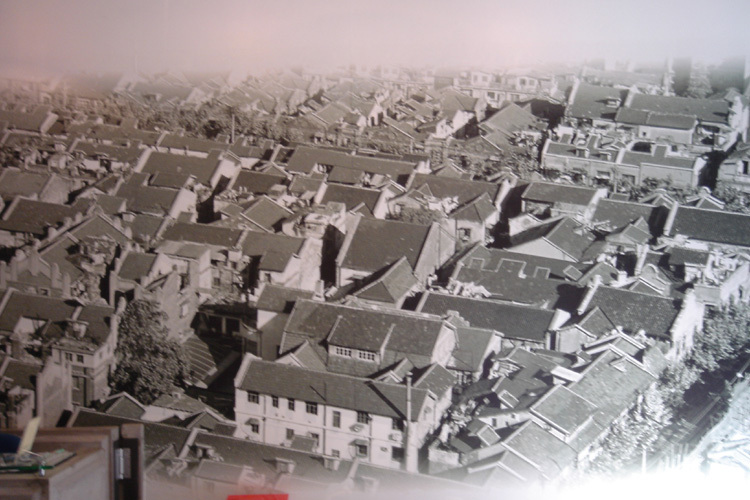 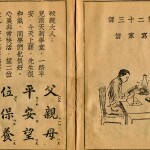 According to Yingjin Zhang (2007: 136), this picture by Wu Youru was originally published in 1908 in Wu Youru huabao. 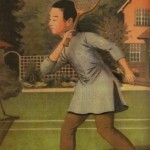 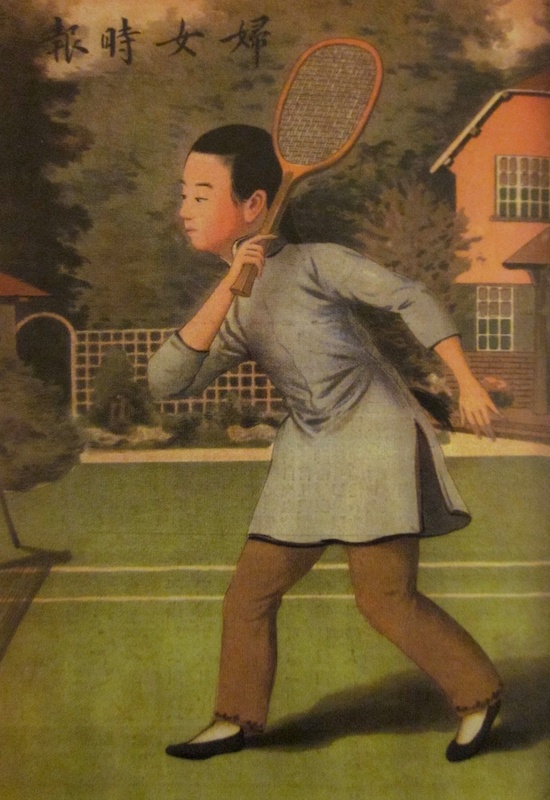 A fashionable woman playing tennis (Funü shibao 1911, no.5: front cover). 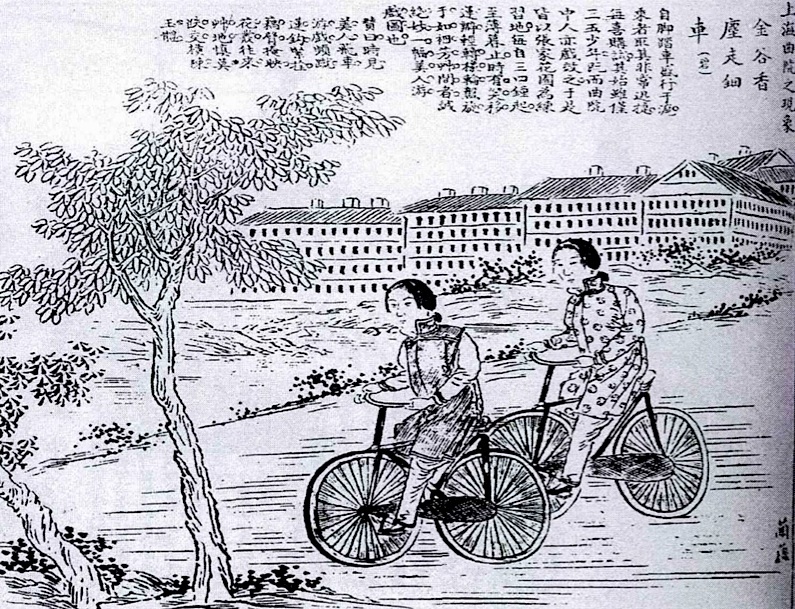 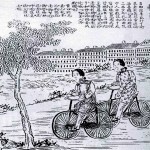 “Bicycling in Zhang Garden” (Lan Zao 1909–10: 223). 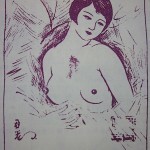 New woman enjoying freed breasts. 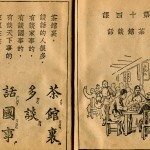 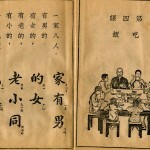 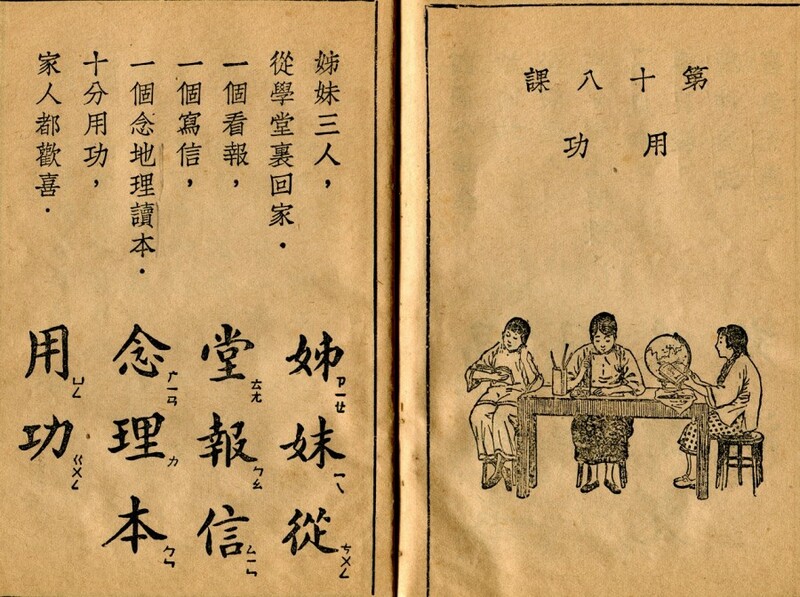 Cartoon titled “Jinzhi shuxiong zhihou” (BYHB 1928, no. 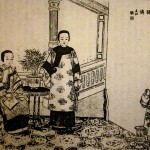 205: 2). 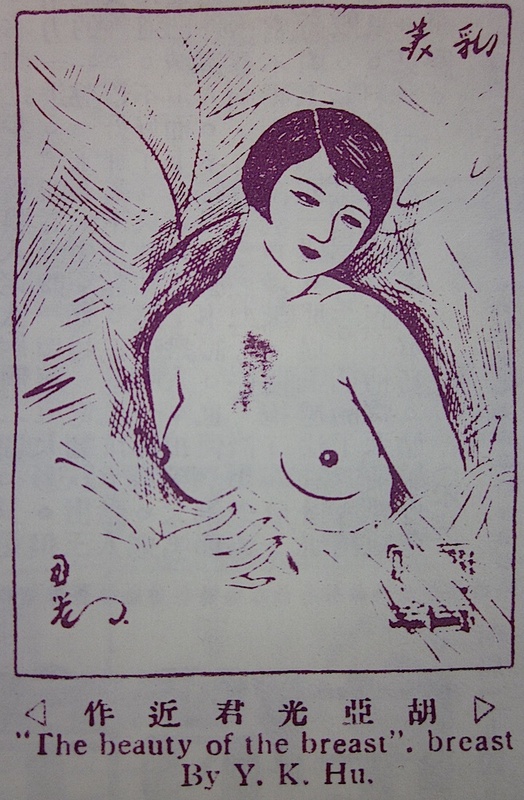 Beauty of natural breasts. 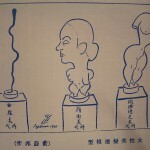 Cartoon by Jiang Hancheng, “Tianru mei” (BYHB 1927, no.108: 4). 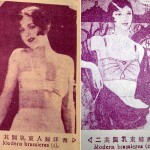 Beautiful breasts. 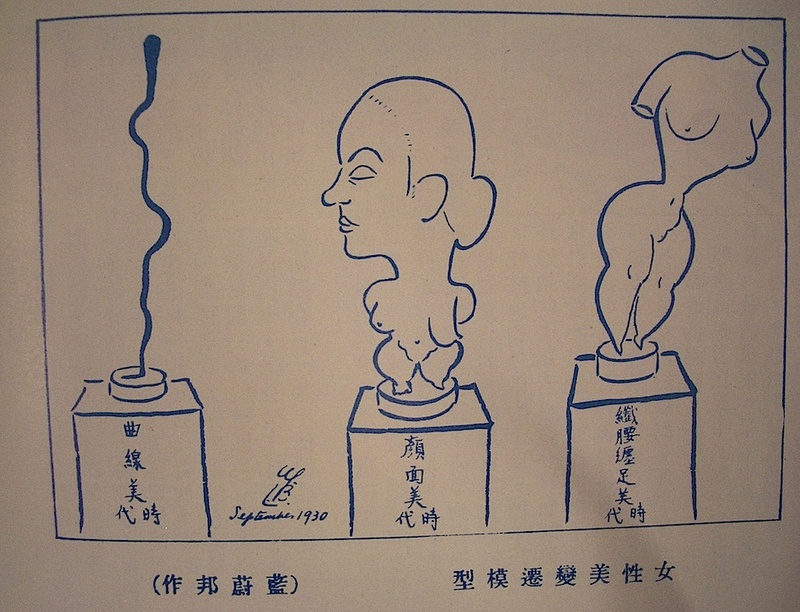 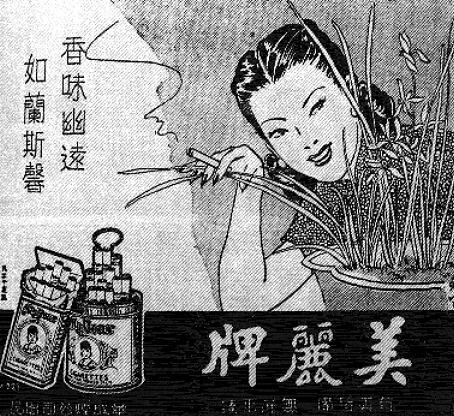 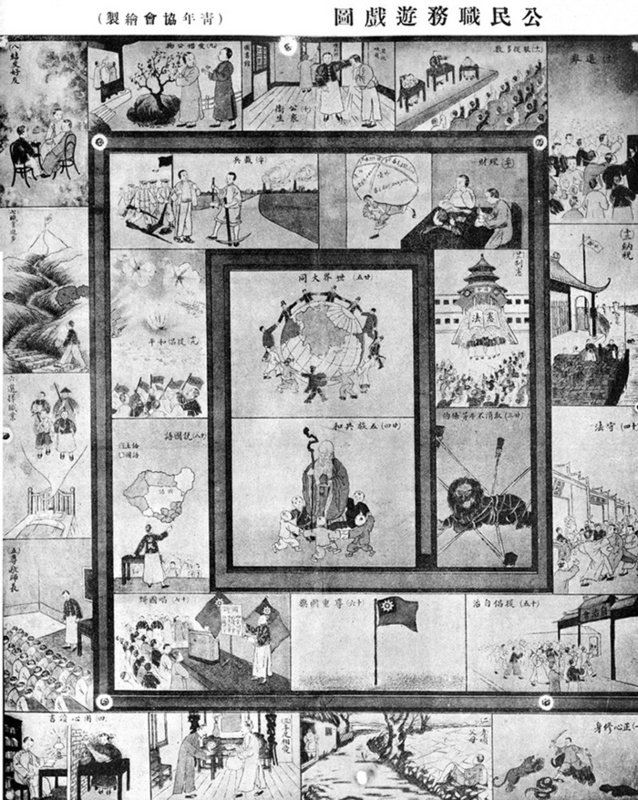 Cartoon by Y. K. Hu, “Mei ru” (BYHB 1927, no.125: 3). 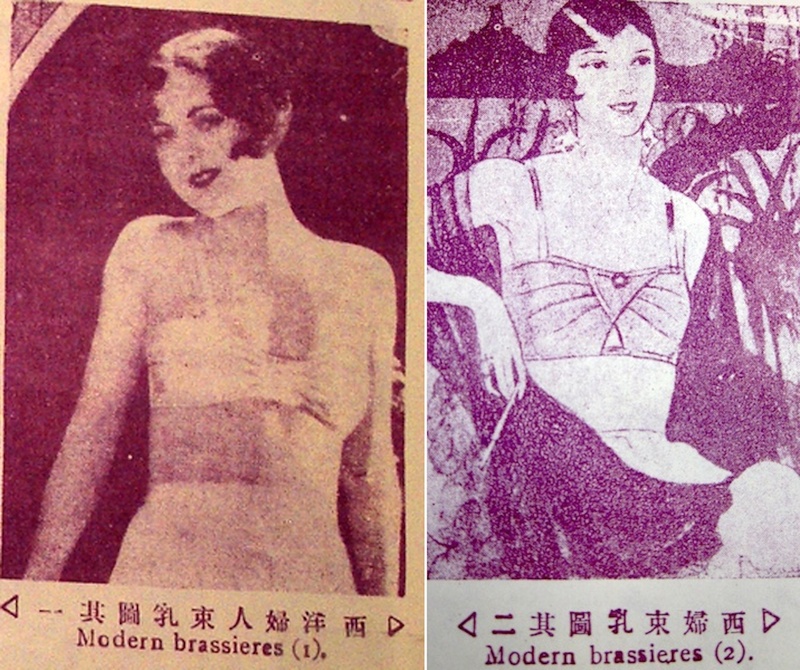 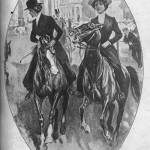 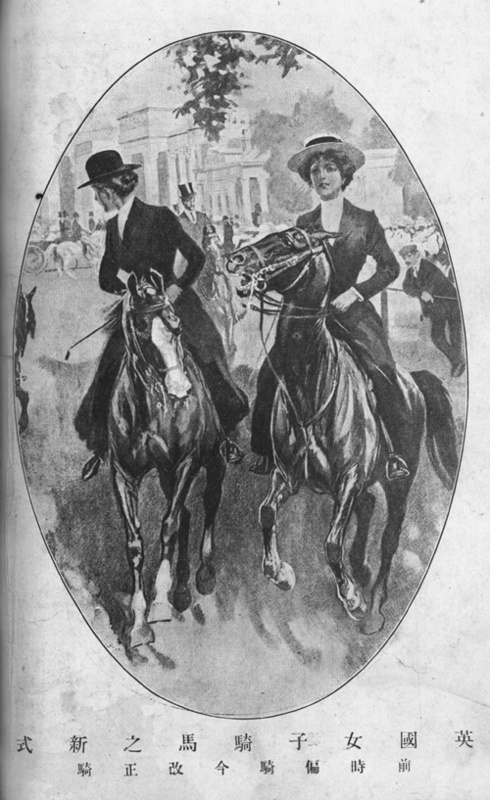 “Modern brassieres I” (BYHB 1927, no.114: 3) (left) and “Modern brassieres II” (BYHB 1927, no.115: 3) (right). 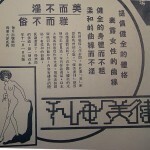 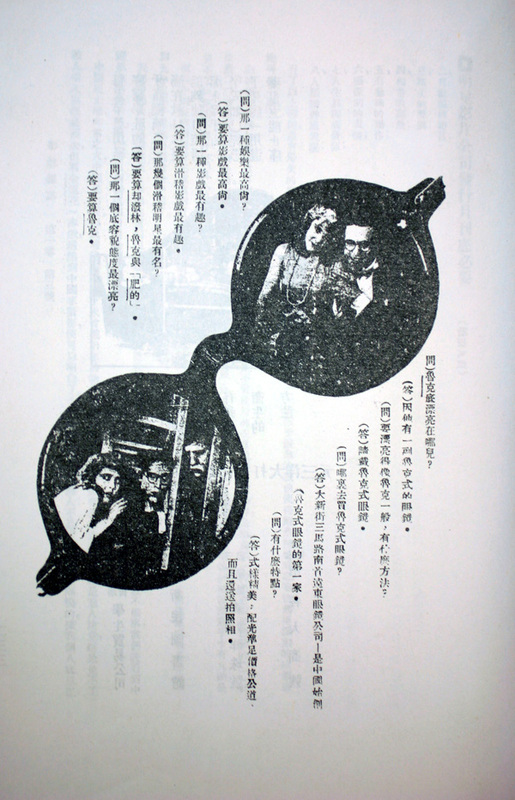 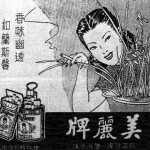 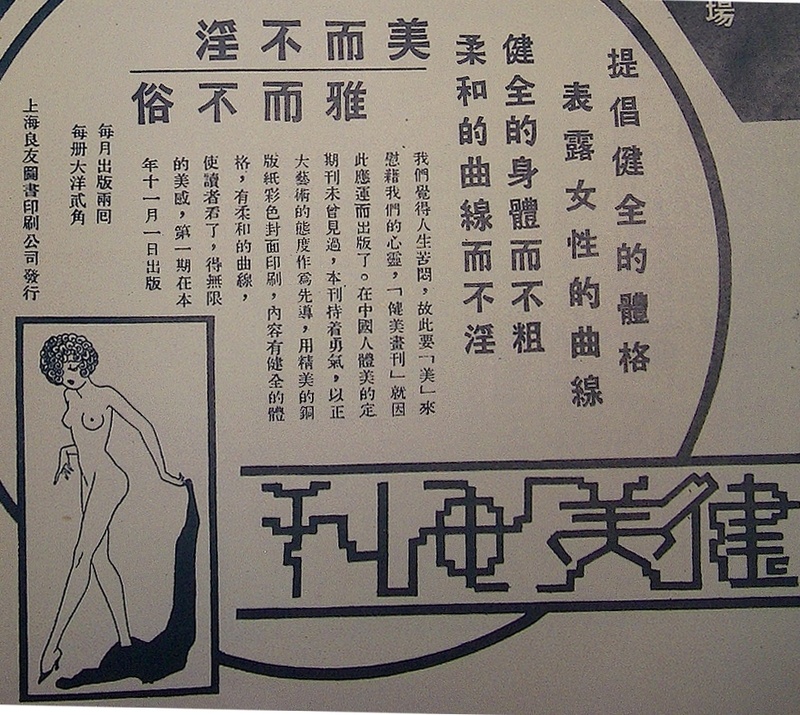 Liangyou’s advertisement for Jianmei huakan (Liangyou 1932, no.70: n/p). 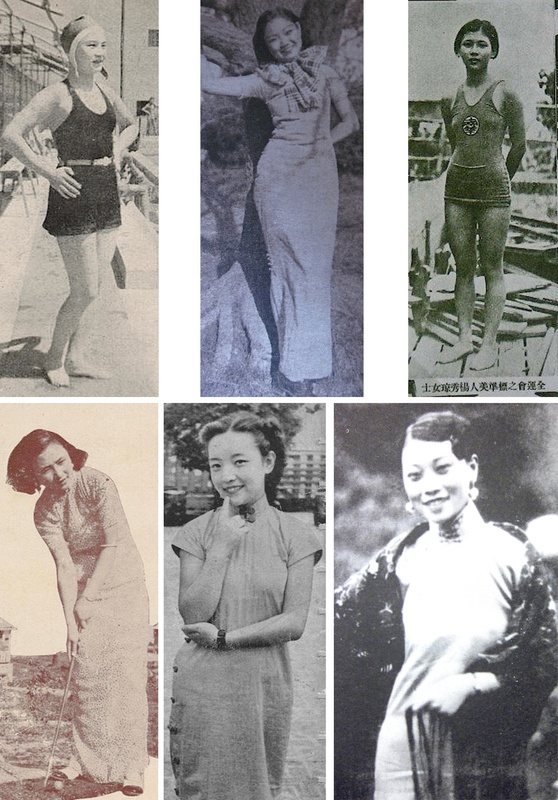 Chinese women’s moderate curves. 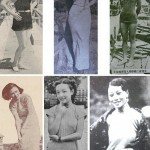 A collection from miscellaneous sources. 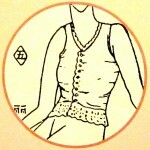 A hard but useful exercise (BYHB 1929, no. 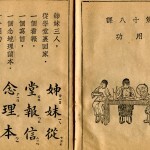 349: 2). 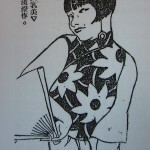 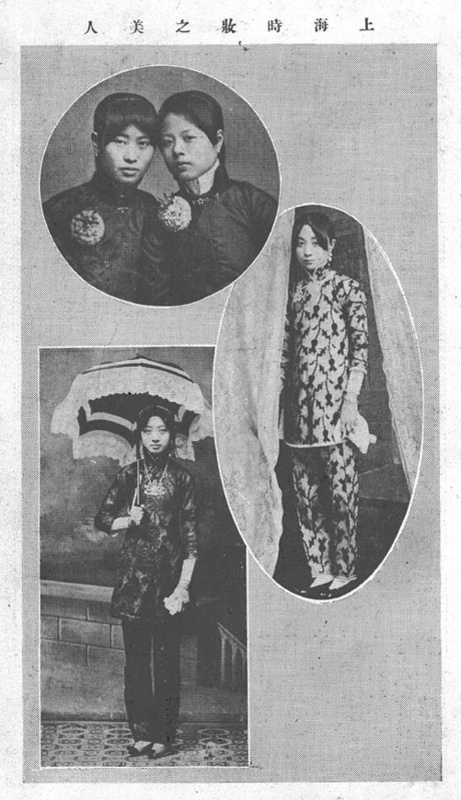 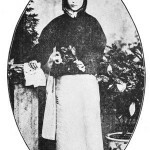 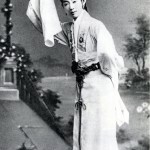 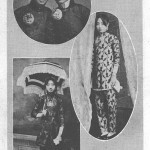 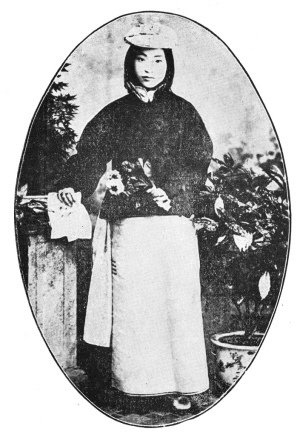 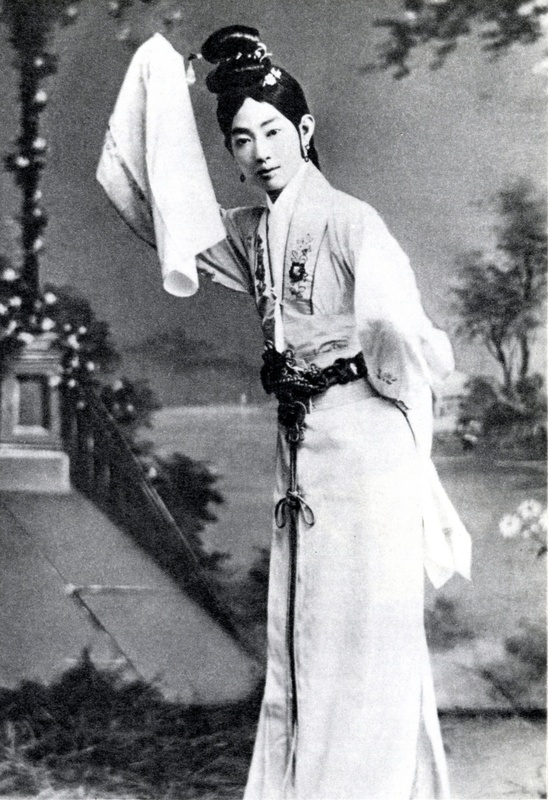 Female impersonator Mei Lanfang in costume (Wu 1981:50). 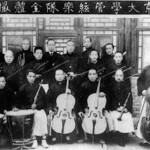 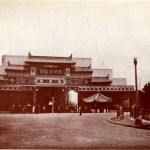 Peking University Orchestra, circa 1920.